Oster 4-Slice Toaster Just $29.99! Down From $40! PLUS FREE Shipping! You are here: Home / Great Deals / Amazon Deals / Oster 4-Slice Toaster Just $29.99! Down From $40! PLUS FREE Shipping! Head over to Amazon where you can get Oster 4-Slice Toaster for just $29.99 down from $39.99 PLUS FREE shipping! 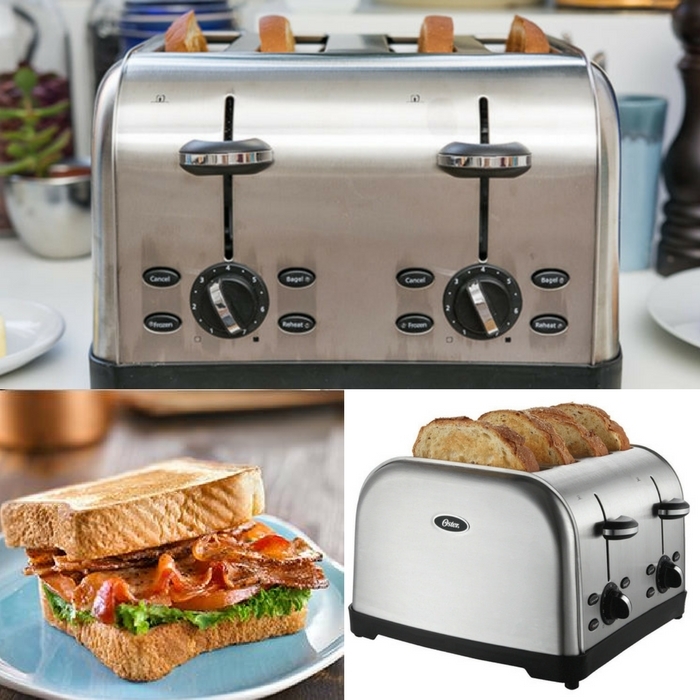 This Oster four-slice toaster makes a lovely housewarming or wedding gift idea and an attractive and useful addition to any ensemble of countertop appliances. It features extra-wide slots that can accommodate anything from bagels and thick slices of homemade bread to English muffins, sandwich bread, tea cakes, and more. Its dual auto-adjusting bread guides adjust as needed to accommodate the bread thickness, ensuring even toasting every time. Breakfast time just got easier and better!